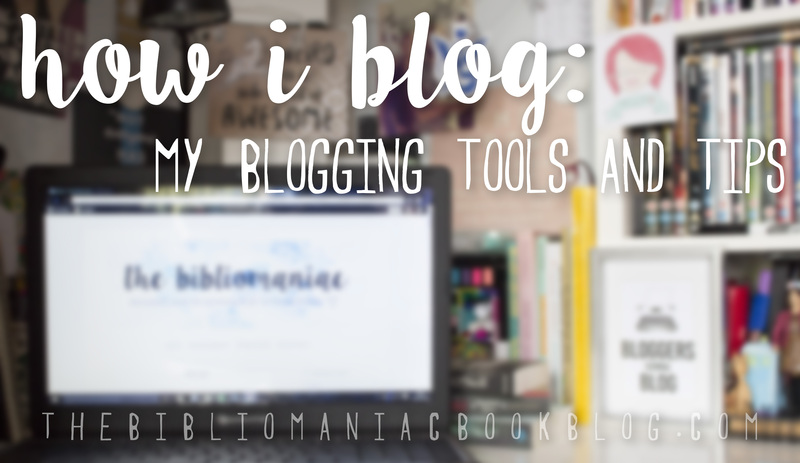 Upon brainstorming blog post ideas for the next few months, it occurred to me that I’ve never written a “behind the scenes” type post, about how I blog (or at least, I don’t think I have…) so, here we go! I’ve thought about writing one in the past, but never felt really qualified to make a post like this – this blog has come a long way, but it’s still comparatively a very small site. 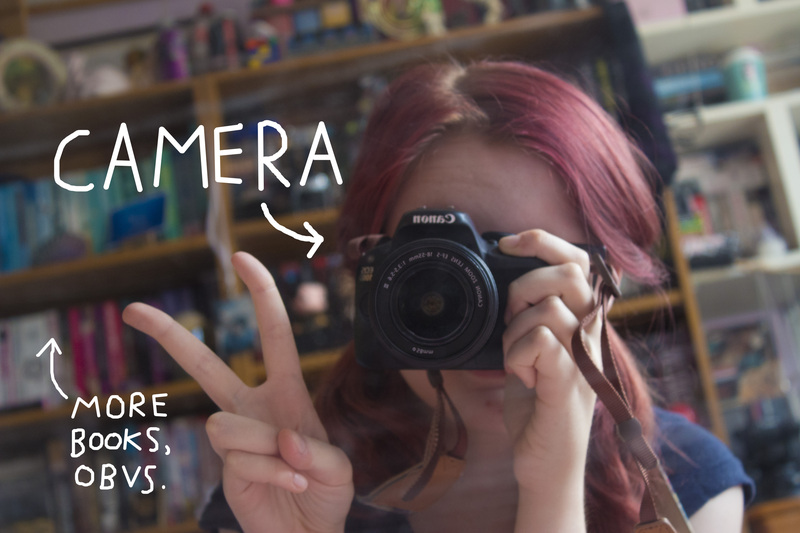 However, it is over five years old, and I thought it might be a good idea to share all of the ways in which I create content. I also use two notebooks at any time. The small one pictured here is my newest bullet journal; I’ve tried bullet journaling before, but this year I’d like to start doing so more seriously. 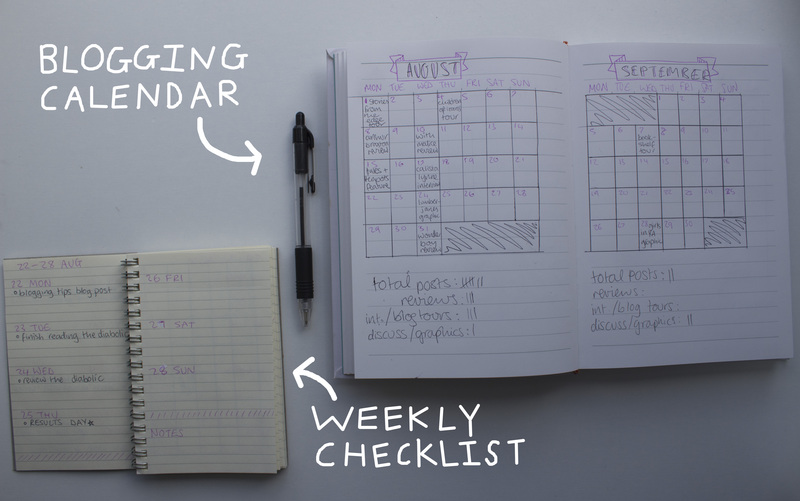 This contains weekly overviews, which I fill with to-do lists – as I’m writing this post, it’s the Summer term, but when school starts it’ll fill up with homework tasks to balance with blogging. The larger notebook was gifted to me through a blogger’s Secret Santa program (thank youuu, Holly from Books and Quills! IT’S SO PRETTY IT HAS OWLS ON THE COVER) I’m normally a spiralbound-notebook gal, but I love this notebook to bits. 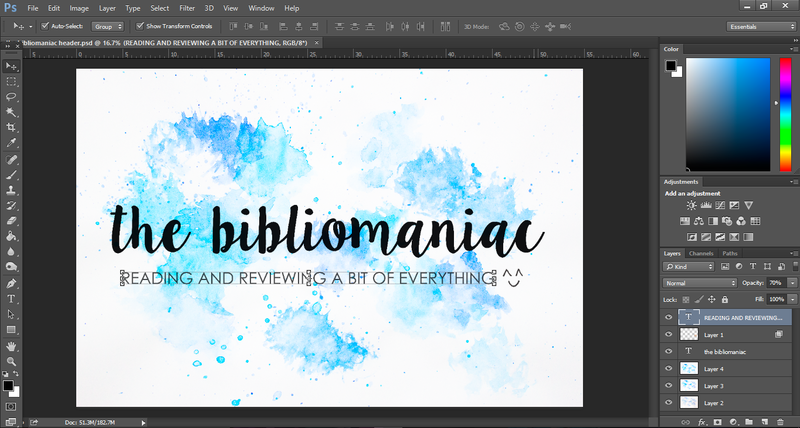 It’s full of all of my blog post planning in more detail – when I’m reading a book, I jot down bullet points to incorporate into reviews in this book. 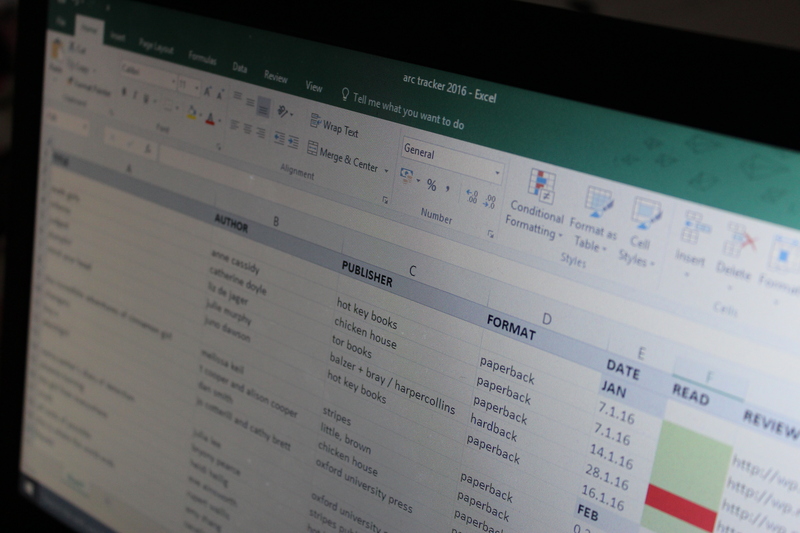 I also use it to plan ideas for discussion posts, and I used a few pages as calendars, which give me a clear visual as to what I’m posting each month without logging into WordPress. OK, onto the digital tools I use! 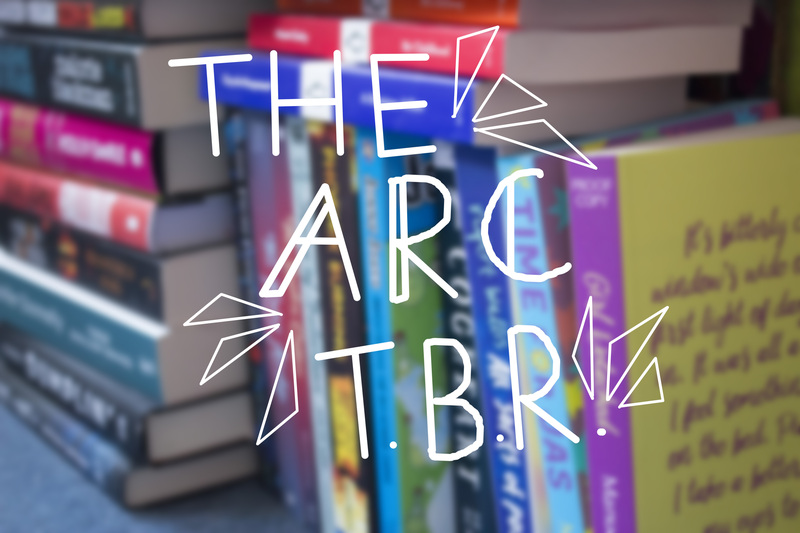 For organising my TBR pile of ARCS (Advance Reader Copies) I collect all of them in one place in my room. It’s a ridiculous, incomprehensible stack, devoid of any organisation. BUT! Every time I receive a new book, I search up its information on Goodreads, and input it into a spreadsheet (above). It’s a nice visual which helps me decide what’s more logical to read next, and I also collect links to every review I do in a year on this same spreadsheet. It’s really handy, and pleases my organisation-obsessive brain. The penultimate thing on this list, and possibly my favourite, is Photoshop. Photoshop is my baby. I LOVE IT. Originally, I only downloaded a free trial a year ago, because it’s an incredibly expensive program – but I grew to love it, and started teaching myself how to create lots of different things on it. I ended up buying an Adobe photography package at a really affordable rate – I pay around £7 a month, and I really recommend the package if you’re interested in photography or graphic design or both! And finally, the obvious one – WordPress! 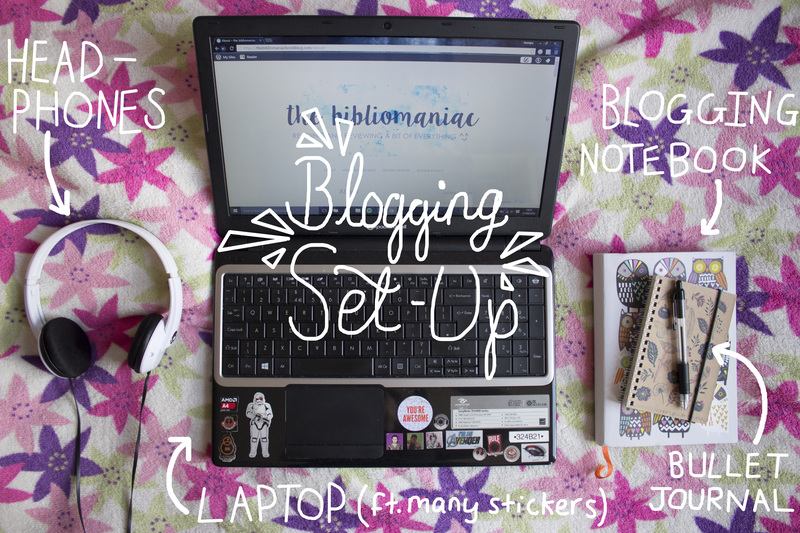 If you’re reading this post and are yet to start a blog, I highly recommend WordPress as a platform. Although I’ve been blogging for a long time, I actually have very little knowledge of website building and coding. WordPress is a beautiful thing, because it’s fantastic for people who do have that knowledge, and yet it’s also beautifully simple for people like me. 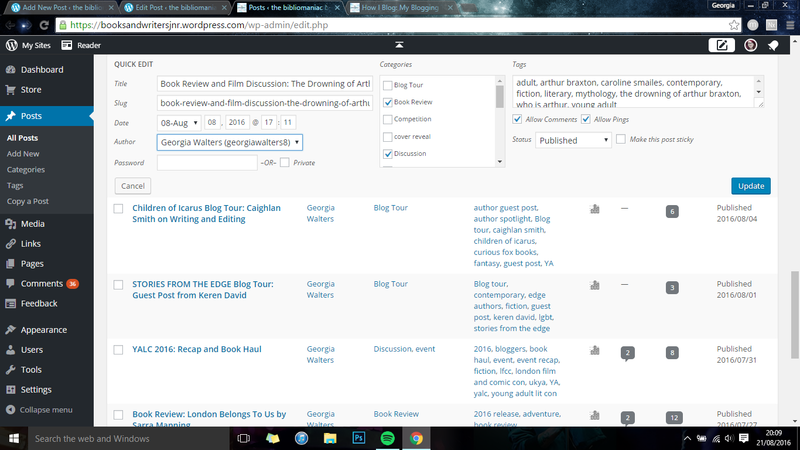 I love how easy it is to connect my blog to social media, and all of the brilliantly laid out functions from my sidebar to the post editing panel you can see above. It’s amazing, and I’m so glad I’ve been with it for five years! Phew, that’s the end of this post… it was a long one! This entry was posted in feature and tagged blogging tips, blogging tools, creating content, feature, how i blog, photoshop, planning, wordpress, writing on October 19, 2016 by Gee. These shelves are home to about half of the books that I have read and own. I’m usually incredibly obsessive and organised (as in, alphabetising everything I own, from DVDs to school books) but these shelves are in absolutely no logical order. They’re a massive rainbow, which I love sososo much even if it does show that I have way too much time on my hands. (Even the items on the shelves correspond to the colours… yep). These are part of the ‘main,’ bookshelf, but I count them at their own little sections, as they’re not YAwhich is what the shelves above mostly consist of. Two shelves are home to all of my classic books – from Enid Blyton, to Road Dahl, to George Orwell and my favourite thing I own – a 116 year old copy of Grimm’s Fairy Tales. A larger space is reserved for all of my graphic novels and collected comic editions! I’m definitely going to need more space on this one soon, as I’m looking to expand my series reading. Current favourites are The Runaways and The Wicked and the Divine. 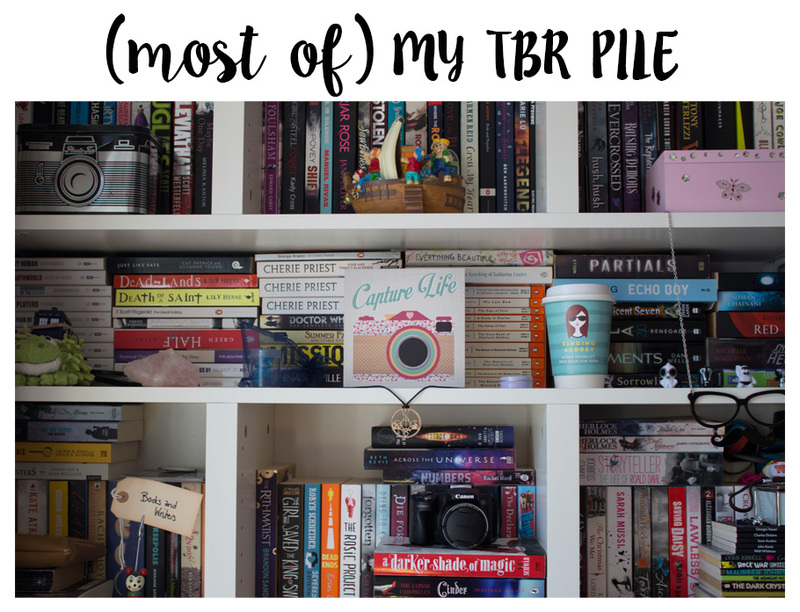 This is where most of the books on my to-read (or in some cases, to re-read) list live! I should really order them into some kind of logical sense, but somehow I actually remember where all of these books are placed, so, I guess it’s all good. 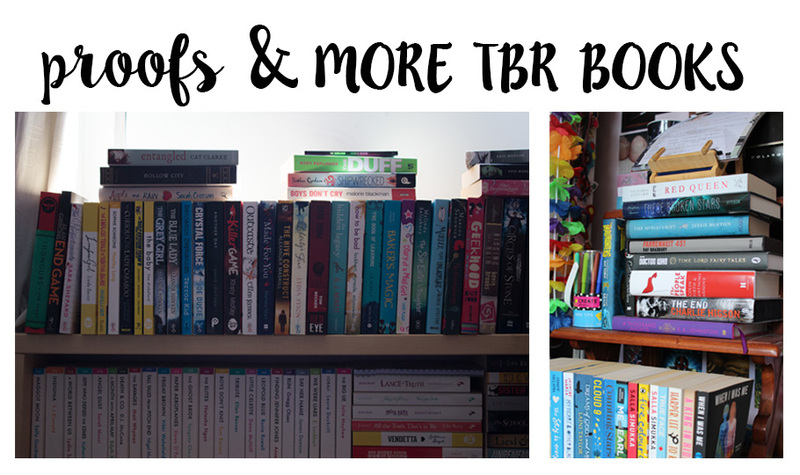 Most of the rest of my TBR books are on the my windowsill (top of this left photo) and sitting on my library steps, by my desk! So many books, so little time. And, finally – signed books! I haven’t been to any bookstore events in a long time (GCSEs, general exhaustion, etc) but I used to go up to Waterstones Piccadilly practically every week or so, attending talks and signings. My signed books don’t live in my room – they’re on shelves at the end of the hallway. But I do like that little area at the end of the house! More rainbow-ordered books! So, that concludes the bookshelf tour! What do you think of my chaotic order of things? 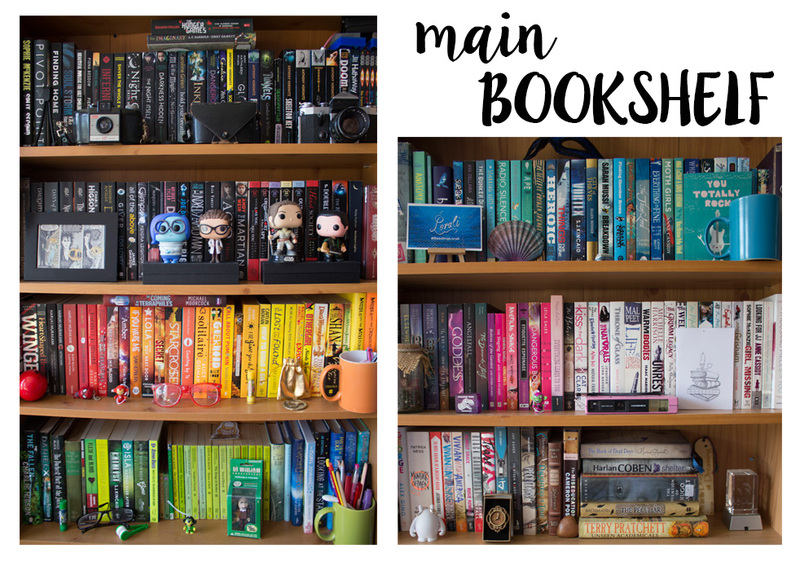 How do you organise your books? 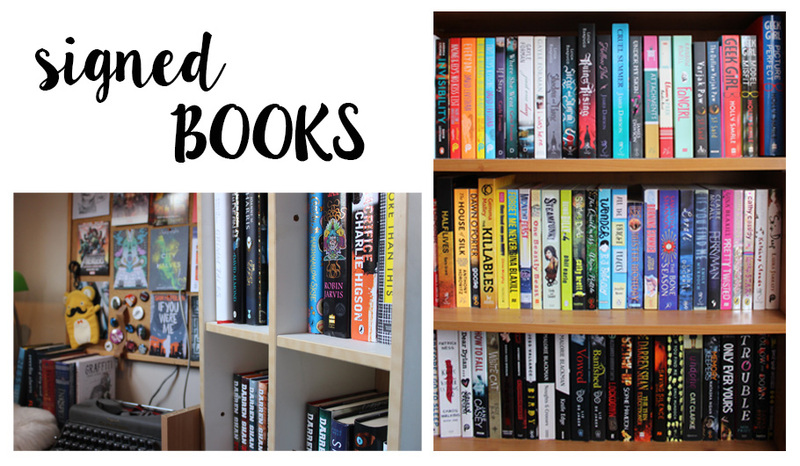 This entry was posted in feature and tagged books, bookshelf tour, classics, comics, feature, personal post, rainbow, shelves, signed books, tbr pile, ya fiction on September 21, 2016 by Gee. 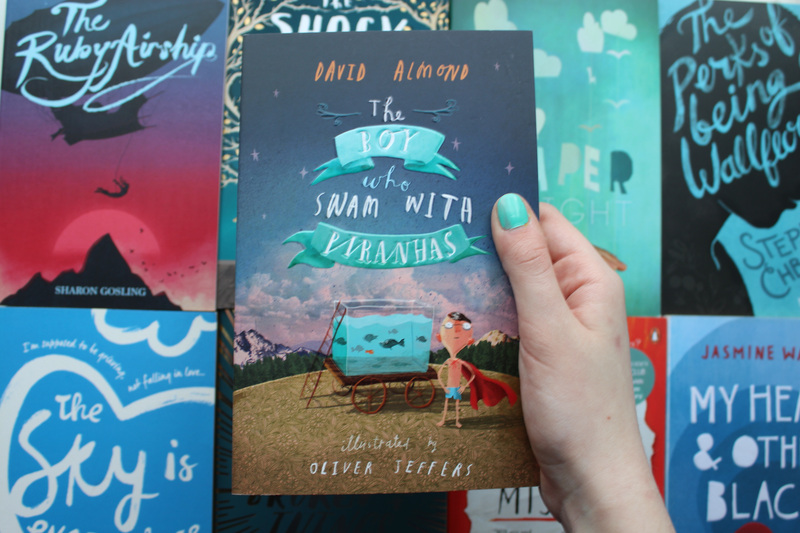 It’s not just the stories between the covers that I love – it’s how a book is presented and designed. 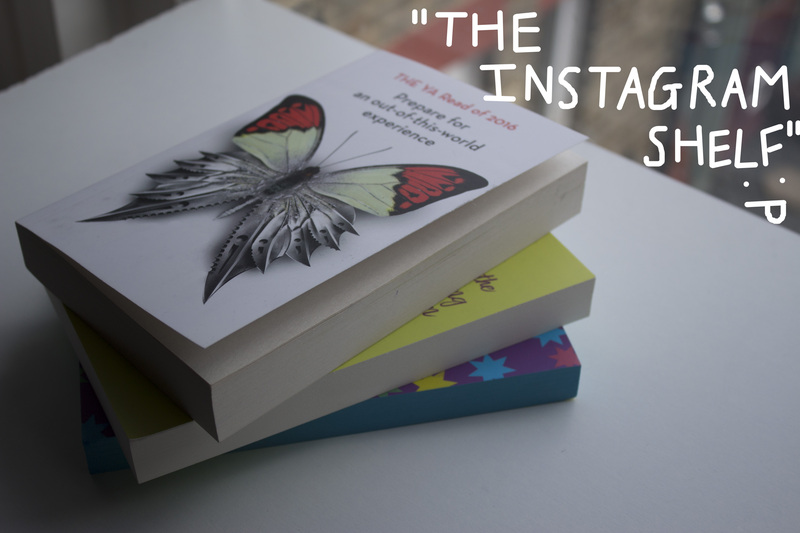 If you’ve been following this blog for a while, you might know that I’m really interested in cover design. I really love taking the time to admire what effort has gone into making the outside (and inside) of a book look awesome – whether that’s the colour, the artwork, the fonts or something like a slip-cover. 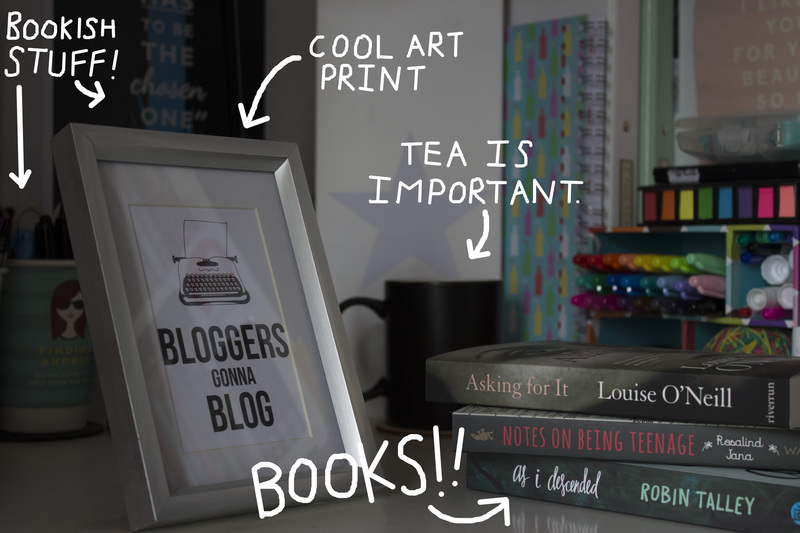 I thought it would be a nice idea to make some kind of feature on this blog, where I talk about all of this! So, in the hopes I do make more posts like this – here’s my first one, all about typography! I adore pretty fonts – there’s just something really aesthetically pleasing about brush fonts and handwritten ones especially. I’ll admit sometimes I do judge a book by its cover – if it’s got a really cute font on it, the likelihood is I’ll pick it up and have a look! Here’s a few titles I love. First up – The boy Who Swam with Piranhas. This book is illustrated and designed by Oliver Jeffers, who is one of my favourite illustrators. The title is in his handwriting and I just love it so much. I don’t really know how to describe it properly – I just adore the uneven capitals and childlike joined-up letters. It’s really pretty! 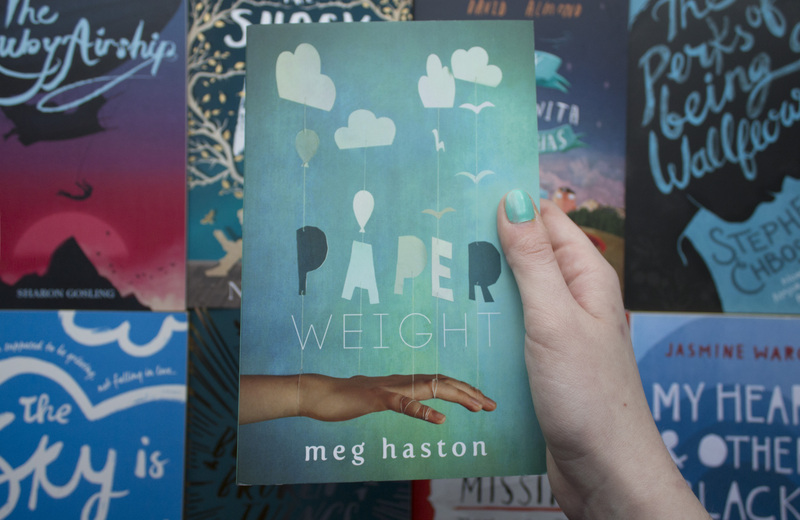 Here’s Paperweight by Meg Haston. The cover is quite similar to the US edition, though this UK (Hot Key) version uses a different style for its title. I really like the ‘paper’ part, as it’s so bold and three-dimensional, and connected to other elements of the cover. The ‘weight’ font complements it really well, despite how different it is. 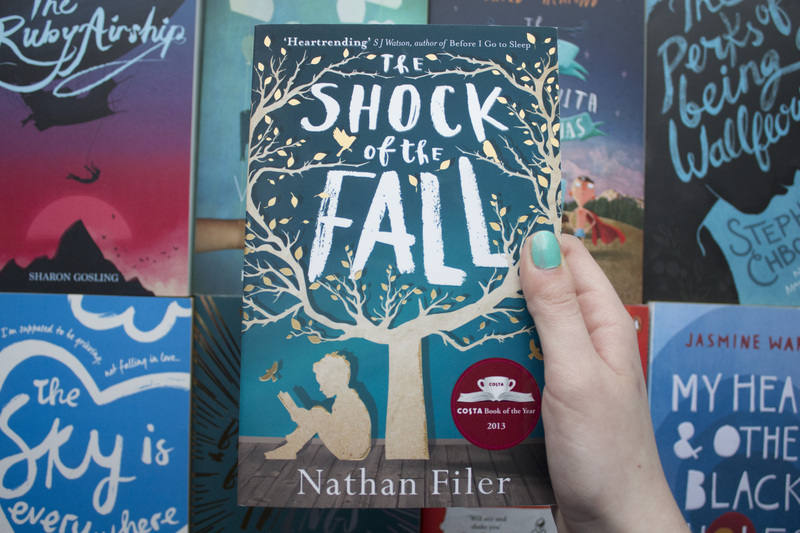 The Shock of the Fall by Nathan Filer is a book I picked up just because of the cover. I’d seen it around online as it won the Costa prize, but hadn’t actually looked into what it’s about (I only read the blurb after admiring the cover for aaaaages in a store). I really love the brush font, and it reminded me a bit of Oliver Jeffers’ whimsical style. It’s really eye-catching! If you enjoyed this post, please leave a comment or share it around and let me know! I would love to do some more posts like this in the future, talking about cover design and artwork. Also, if you’re aware of the artist behind these covers, please do let me know so I can add them in! I did try to research, but found it pretty hard to find them. This entry was posted in Discussion, feature and tagged beautiful books, feature, typography on May 25, 2016 by Gee.